Plans for housing on the former Lower School site in Rye next to the Ferry Road level crossing, were strongly criticised and then rejected at the town council meeting on Monday January 28, despite receiving a half-hearted welcome for the principle of residential development on the site. 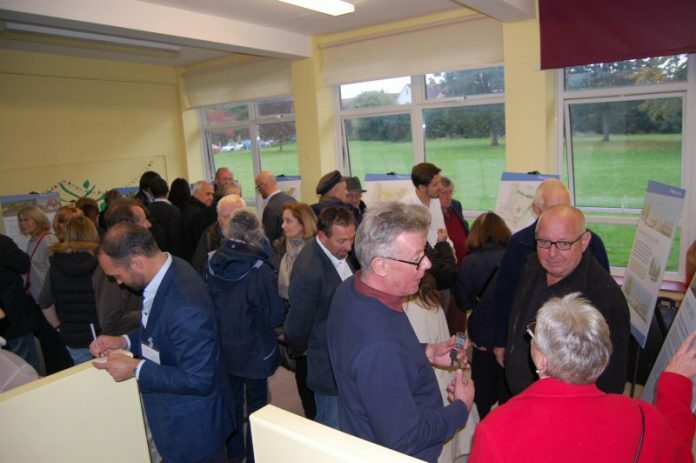 The site has been allocated for housing in Rye’s proposed Neighbourhood Plan and the vice-chairman of the plan’s steering group (RNPSG), Anthony Kimber, said the council needed to include these comments in its response to the application. (particularly bedrooms) at first floor level. However this plan for 65 homes (38 houses and 27 flats) – a reduction on the 72 homes proposed in 2017 – does not seem to take account of the housing which has already received approval and been built elsewhere in the town. But in response to criticisms, the proposed access to the site has been moved further away from the railway level crossing and the fire-station side road by proposing to demolish the Queen Adelaide pub. Cllr Bernardine Fiddemore expressed concern however about the loss of this social hub and Cllr John Breeds said Ferry Road already had parking problems before this development. Cllr Cheryl Creaser said the town also needed to be clear on what affordable homes for local people would be provided. The RNPSG commented there had been little contact with the developers, or any further public consultation, since 2016 and suggested the parking provision was inadequate and could be misused. It suggested that without parking controls the site’s parking spaces could become used by those seeking to avoid traffic wardens in the town centre, the council was told. Details of the planning application can be found on Rother District Council’s website where many comments and concerns have already been expressed. I totally understand and agree with counsellor Cheryl Creaser. We do need local housing for local people. The lower school site cost Sainsburys millions of pounds, and being a brownfield site, they will be looking for a return,when it is eventually sold off for housing, we have a lot of green spaces around town,many not used very much now,like masons field,and the old town Salts,which is quite adequate for locals and tourists alike. Didn’t Sainsbury’s sell the site to developers Plutus Developments nearly three years ago?